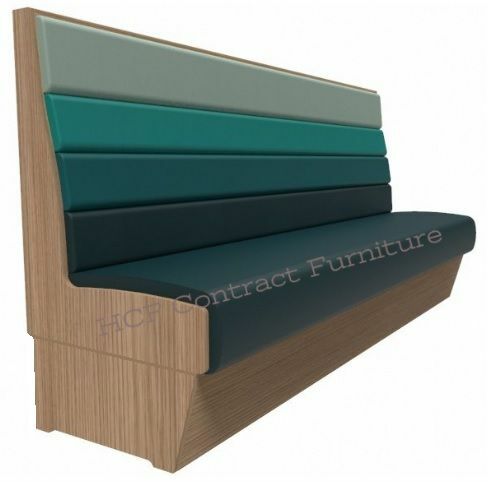 Standard booth seating is available in several shapes and arrangements. 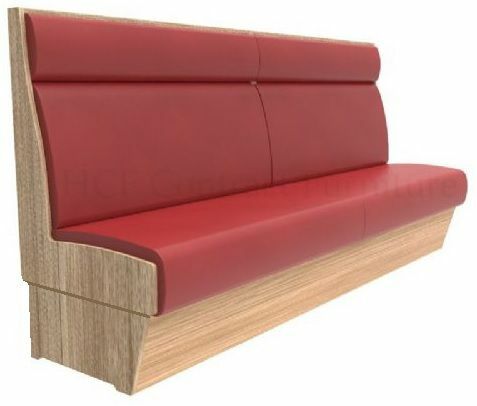 Standard shapes and sizes are the most economical, however we as manufacturers can customise features for your unique situation. 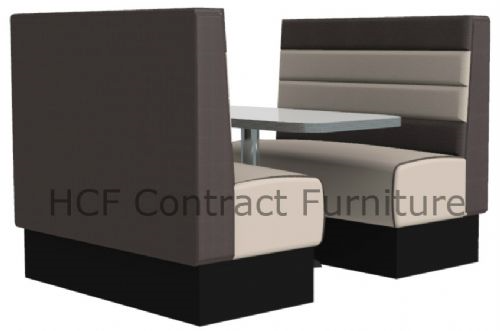 The size, shape, capacity and budget of your restaurant will help determine which is best. 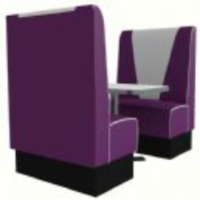 The most common are rectangular booths, which seat from two to six customers. 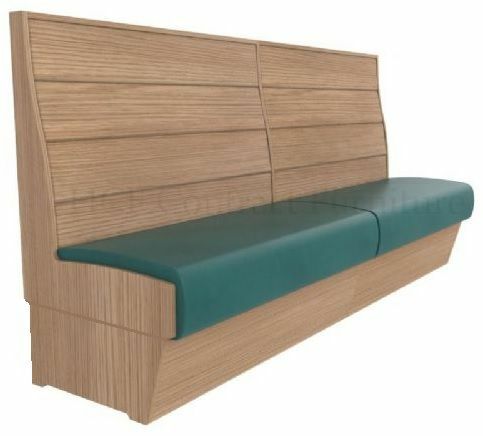 Other options are the continuous bench (usually along a long wall), half circle and three-quarters circle booths, often used in corners as well as along a wall.